Juventus have stepped up efforts to sign Liverpool star Emre Can according to reports in Italy. Italian newspaper II Messaggero report that Juventus have sent club officials to make enquiries for the midfielder of Turkish origin. Per the source, Liverpool want £26 million for the 23-year-old, a fee the Serie A champions are not willing to pay. Can does have another 12 months remaining on his current contract but his future at the club could depend on whether he extends his deal. The Reds midfielder did finish the season strong, playing an important role in his side finishing in the top-four and booking a Champions League spot. Liverpool manager Jurgen Klopp is keen on his star midfielder remaining at the club. “After his bicycle kick probably everyone wants him to stay,” Klopp was quoted as saying in the Guardian. 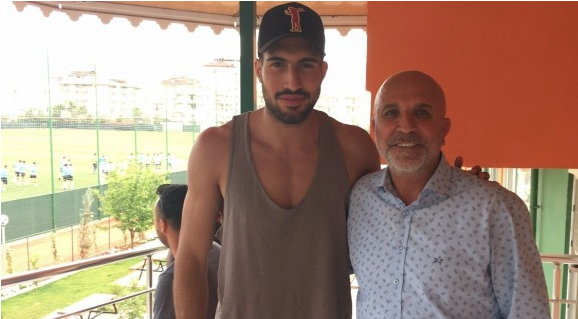 Can is currently enjoying a summer break and was last spotted in Alanya, Turkey. Joachim Low has selected Can for his Germany squad which will compete at this summer’s Confederation Cup in Russia. The tournament takes place between June 17 and July 2. If Germany go all the way to the final, Can will report back to Liverpool after the Red’s tour of Asia. Can started in Liverpool’s last 13 games of the season, filling in for injured captain Jordan Henderson. The powerful midfielder also scored the goal of the season with an incredible effort against Watford.